Even though he was in prison, Paul was not imprisoned by his circumstances. In Philippians 4:4, he said: Rejoice in the Lord always. Again I will say, rejoice! In Psalm 9:14 the writer said that salvation is a reason to rejoice: I will rejoice in Your salvation. 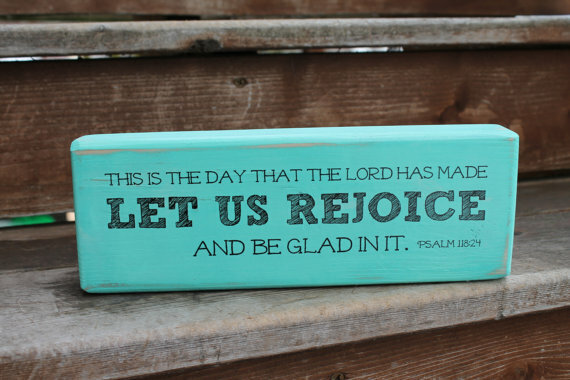 Mercy is the subject of rejoicing in Psalm 31:7: I will be glad and rejoice in Your mercy. The faithfulness of God is another reason to rejoice. Psalm 33:21: For our heart shall rejoice in Him, because we have trusted in His holy name. Word were a source of joy to him: I have rejoiced in the way of Your testimonies, as much as in all riches. How can “rejoicing always” can make a difference in how you you pray and how you give thanks?